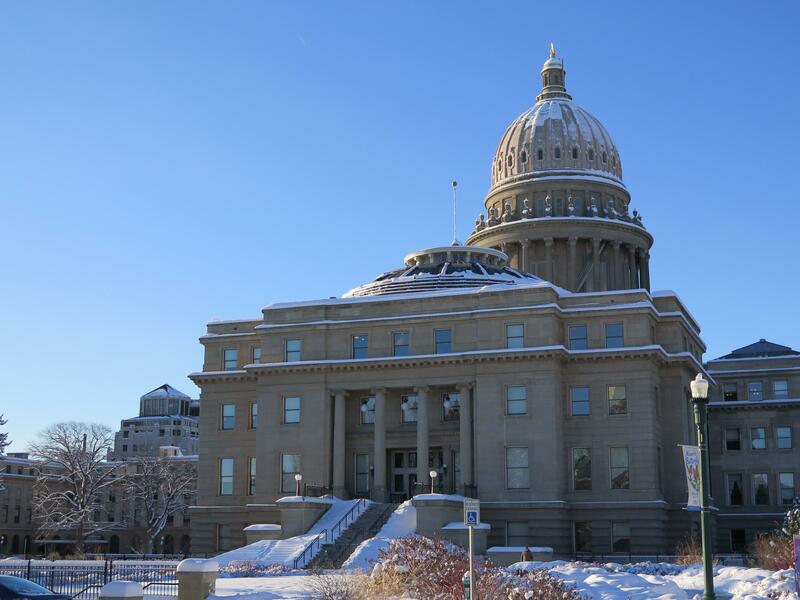 UPDATED: Wed., March 8, 2017, 11:49 a.m.
BOISE – Two days after more than 2,000 public land advocates rallied at the Idaho Statehouse, House lawmakers killed a resolution that would have provided more information on the location and accessibility of state lands. The resolution, which was sponsored by House Minority Leader Mat Erpelding, D-Boise, initially was approved on a 43-26 vote Monday morning. In a fairly uncommon move, Rep. Caroline Troy, R-Genesee, subsequently asked to reconsider the measure. Upon reconsideration later that afternoon, Troy and 20 other lawmakers switched their aye votes and killed the bill. The resolution asked the Idaho Department of Lands to produce an annual report detailing how state endowment lands are managed and highlighting the size, location and accessibility or inaccessibility of each parcel of state land. Although she supported the measure in the morning, Troy said she found some of the opposing floor debate compelling. For example, she felt there were unanswered questions regarding the scope and potential cost of the report. After reviewing the resolution with those concerns in mind, Troy said, she intended to ask the body to change her vote. However, when it became apparent other lawmakers were having second thoughts, she moved for reconsideration instead. Reps. Thyra Stevenson, R-Lewiston, and Priscilla Giddings, R-White Bird, also changed their votes. As part of the annual report, he said, the Department of Lands would have provided a series of online maps showing which parcels of state endowment lands can be accessed by foot or by car, as well as which parcels have no legal access, either because they’re surrounded by private land or have an exclusive use lease. Jonathan Oppenheimer, government relations director with the Idaho Conservation League, was equally disappointed with the House flip-flop. Given the ever-present talk about transferring federal land to the states, Oppenheimer said, the House vote illustrates how information and access to state land can “with the stroke of a pen” be treated very differently than public lands. Published: March 8, 2017, 9:26 a.m. Updated: March 8, 2017, 11:49 a.m.